Today is March 17th and it is the day that we drink green beer, dress up like Leprechauns and sing Irish drinking songs. Ok ok...so maybe that isn't the history behind today's holiday but that is what comes to mind. For those of you interested in the history of St. Patrick's day it is actually the religious holiday celebrating the patron saint of Ireland - Saint Patrick. "Saint Patrick's Day has come to be associated with everything Irish: anything green and gold, shamrocks and luck. Check out this Saint Patrick's Day Video. It is quite cute and shows lots of different traditions related to Saint Patrick's Day. Here is a recording of "The Lord of the Dance". The combination of music and dancing is amazing! 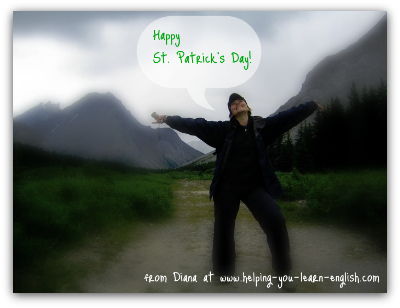 So there you have it, a quick little newsletter to wish you a Happy St. Patrick's day and share some videos with you. 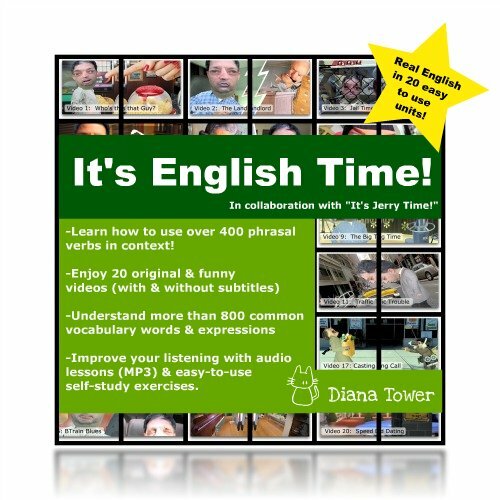 Also if you'd like to improve your English (maybe for a visit to Ireland) get a copy of my new eCourse "It's English Time!". Do check out "It's English Time!" before April 1, 2011 to save 35% (€60). Have a great St. Patrick's day and remember to wear something green today! I think that we can get to 4000. If you tell 3 people about my newsletter, and everyone else tells 3 people that is over 5000 people! Wow...I would love to help that many people!